STELLAR CLASSIC (XLMX) Ecosystem is a modern age freelance marketplace created with the aim to resolve issues faced by traditional freelance industry and enable seamless, risk-free connectivity between free-lancers and buyers at minimal costs. Our mission is to become the leading freelance marketplace by providing a solution to issues faced by both buyers and sellers in modern-day gig economy and provide a real-world utility to the STELLAR CLASSIC Coin by building a complete ecosystem. The STELLAR CLASSIC project has a strong focus on providing actual utility and low barriers for new adopters. 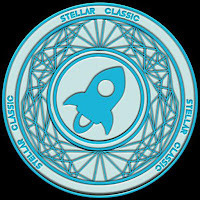 STELLAR CLASSIC will push its adoption primarily through its namesake STELLAR platform, which will essentially be a digital economy where you can earn or spend the STELLAR CLASSIC cryptocurrency. NOTE: The community is advised to beware of any impersonator. The project remains an Erc20 project and we are not migrating. We are not in anyway connected to Stellar Lumens. We're Independent Company. 🚨 #XLMX Community needs to take action NOW. A state-of-the-art wallet that provides various social features to increase engagement among users and ensures security of the decentralized network. A digital marketplace for all manner of cryptocurrency transactions, including advanced trading features and fiat on-ramps with complete anonymous transaction.